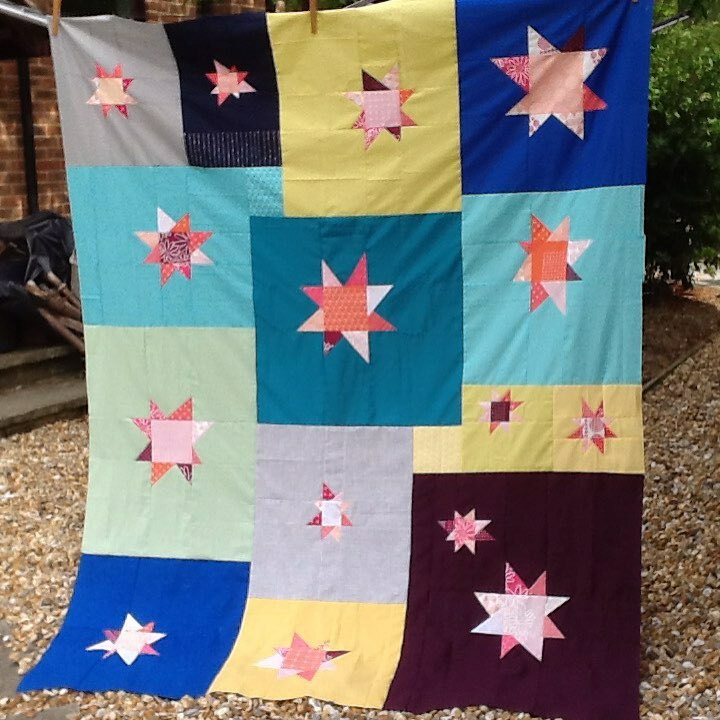 I've been busy with non-scrappy things but was tempted by a block on Pinterest to cut up some 1.5" squares - this is the colour scheme that is tempting me into yet another project....It may only be one block though. Thank you to everyone who joined in with the August Scraptastic Tuesday link up hosted by Leanne @She Can Quilt and me. We have been visiting all the links and there are some beautiful and inspiring projects being shared, so I hope you will take some time to check them out too. By the way, if you linked up and did not include our button, hashtag (#scraptastictuesday) or at least a link back to one of the link up posts, please add it in as we are sure that you want to support our efforts to bring you this fun link and great prizes. It helps spread the word which also helps us provide such lovely prizes. Now, its time randomly award the prizes from our generous sponsors to those who linked up for August. 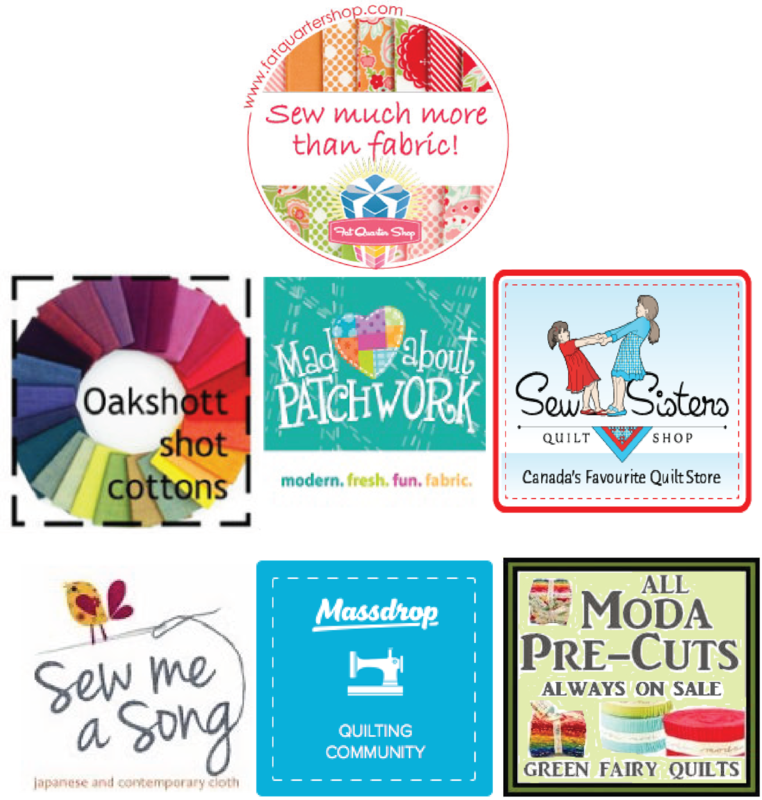 Please plan to join Leanne @She Can Quilt and I for the September Scraptastic Link up on the second Tuesday - September 8. 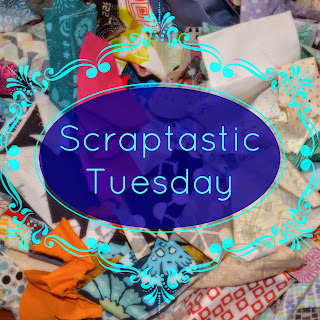 It's the second Tuesday of the month, and time for the Scraptastic Tuesday link up hosted by Leanne at She Can Quilt and me. I have started yet another project ! Oh dear ! But it has been prompted by joining a new bee: the Stitch Tease Bee. How could I refuse ? I know several of the participants and will be delighted to get to know the rest. I am first up to share my request and it has been an idea I have had for a while - ever since we went on holiday to the south of Spain and visited the Alhambra palace complex, which was built when Grenada was ruled by the Nasrid Sultans. First I made a massive big fabric pull of all orange colours from orangey-red through to pale peach; then added a bit of mustard through to citron and lighter shades of yellow; with a bit of cobalt blue, teal and aqua for contrast. I picked off-white, creamy, light grey Low Volume for background if needed. All my fabrics are tone on tone (my favourites to work with) or have the colour scheme I'm working with in them - for example one dark blue AGF fabric has elements of peach in it. 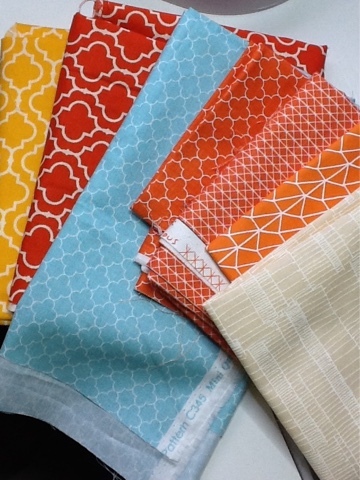 I have even found a few fabrics printed with a geometric pattern to suit - some older Robert Kaufman and some I bought last week at the Festival of Quilts Show, some cotton + steel, some by Karen Lewis and Carolyn Friedlander. 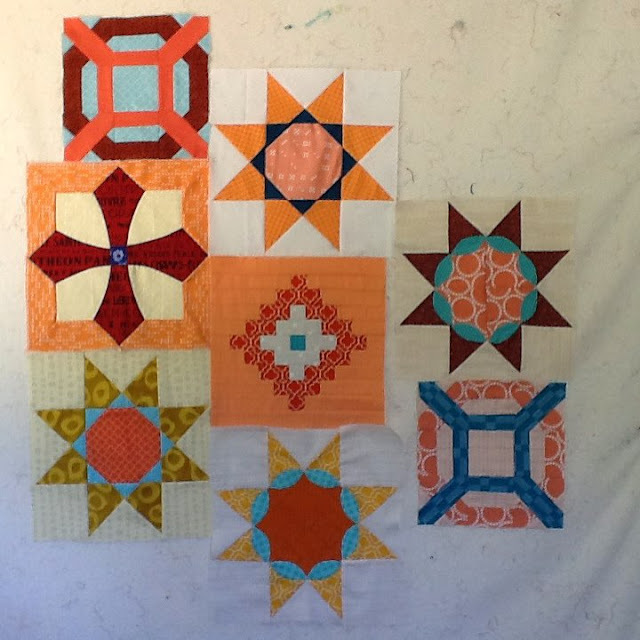 I have made several different blocks as suggestions of the sort of thing I'm looking for - lots of eight pointed stars and tile like blocks - just like the Islamic art seen at the Alhambra. 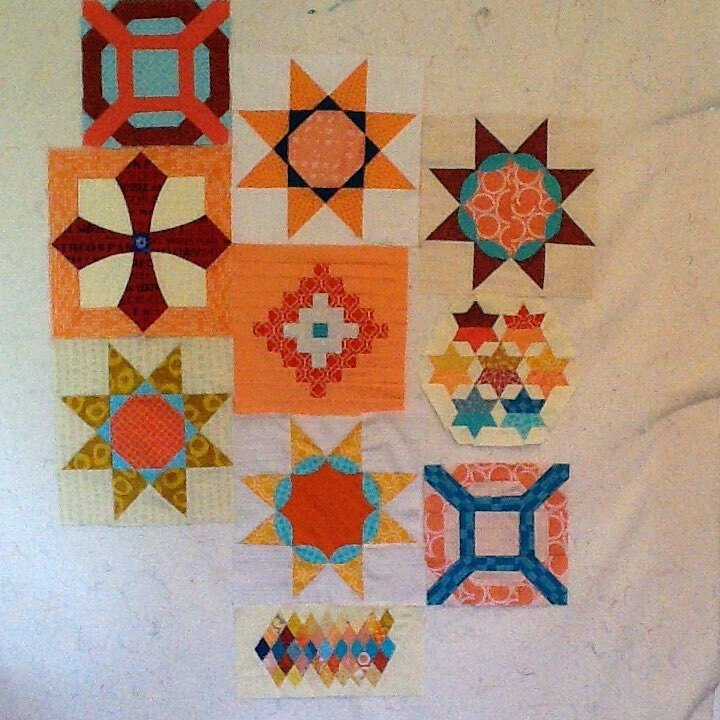 I am asking my bee mates to choose block(s) to make for me, rather than saying I'd like two of these please: either something I have made; something from my Pinterest board; or something they have found and wish to make. I don't mind how they make them, nor what size the blocks are up to a maximum of 12". I am also happy with one beautiful block as we know some methods take longer than others. I have made a similar request before in my lovely Stingy Bee and my Nordik quilt (still to be finished) has been the result which I love and will finish off in time for this winter! I am looking forward to seeing what I will receive! 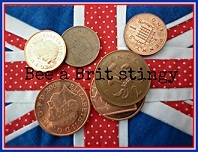 But I am Queen Bee in September not August so I'm giving my bee mates a bit of extra thinking time. So what is scrappy about that?.....I hear you ask! I shall try to resist making more! One link per person, and it will be your entry into the random draw for the prizes. 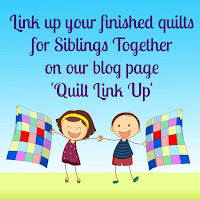 It is the same link up here and at Leanne's blog at She Can Quilt - so you only need to link up on one of our blogs. 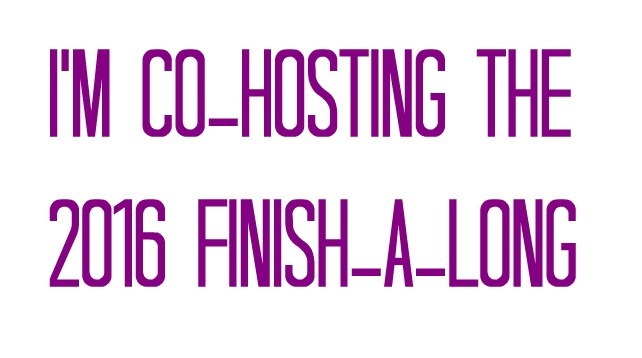 If you have trouble linking up, let Leanne or me know and we will get you sorted. 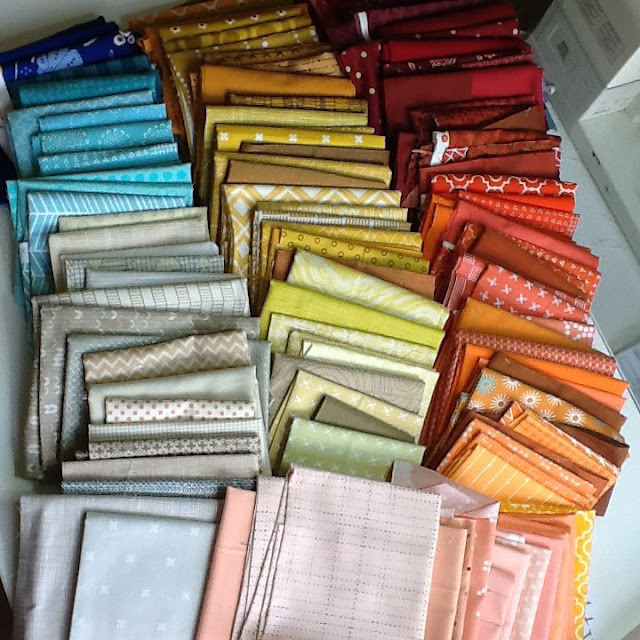 Despite her recent move I see Leanne has been doing some scrappy stitching.....you should check it out and encourage her in her unpacking - she has a lot of stuff! Oops when we are in the school holidays I often forget which day it is and yesterday is no exception! So what scrappy stuff have I been up to? Well quite a lot actually. I decided last week to celebrate my lovely friend Karen's good news about her fabric collection with Robert Kaufman. I was showing some of the things I have made with her fabric and making new things. I used a pile of scrappy triangles and squares of Karen's screen prints in hot colours - offcuts from my KLT quilt - to make some wonky stars and combined them with some solids as background. I am pleased with how it has worked out. 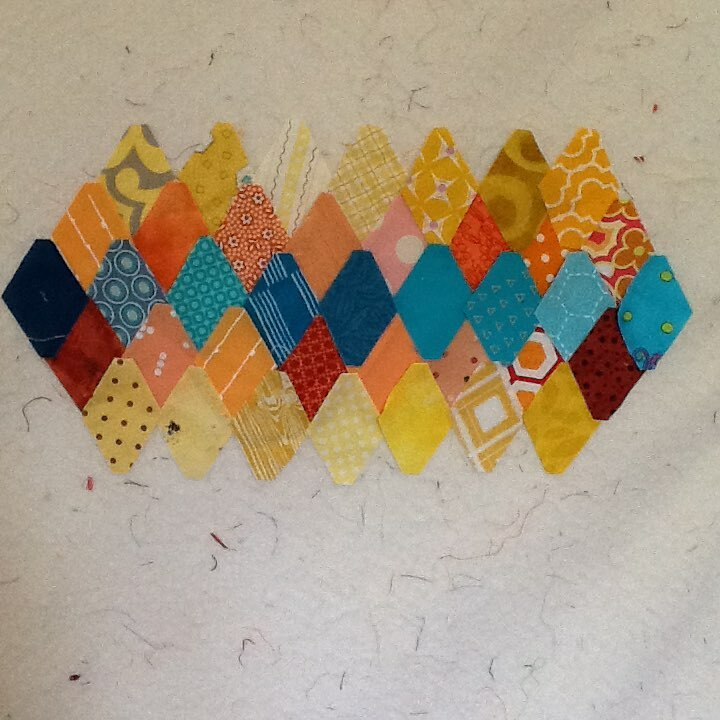 I think some simple quilting will suffice to finish it off. 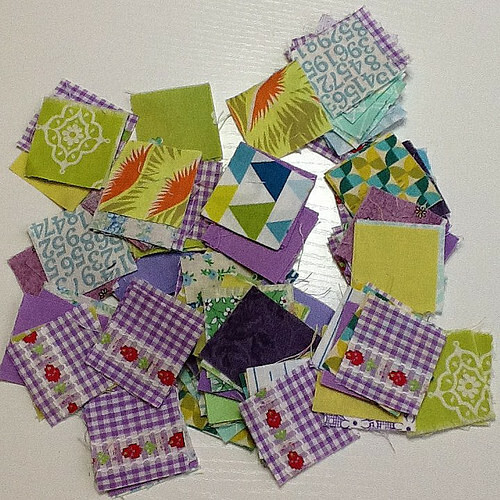 Next week will be link up week so I do hope you will join Leanne and I with your scrappy projects.